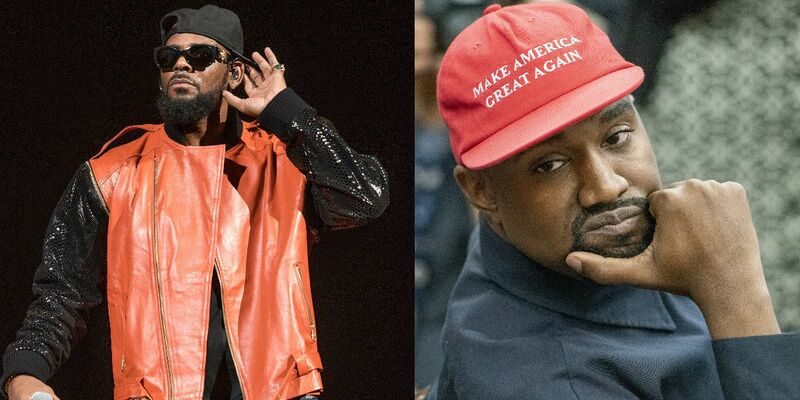 RCA Puts Hold On New R. Kelly Music + Kanye Opens Up On Allegations, "We Can All Enjoy Their Music All We Want"
In light of Lifetime’s Surviving R. Kelly docuseries and the subsequent protests and repercussions, R. Kelly’s label RCA has reportedly put his music on hold for the time being. Sources close to RCA Records and Sony say the company is refusing to put any money behind new music for Kelly despite the singer having two albums left to complete under his contract. According to sources familiar with the contract and RCA, the label is disgusted by the recent allegations and is halting any money movement towards Kelly’s camp until all the allegations. While the label has yet to respond directly to the allegations, they’ve received a ton of criticism for simply keeping him signed throughout the litany. Just this past week, an activist group commisioned a plane with ‘DROP SERIAL PREDATOR R. KELLY” over the SOny Music headquarters in Culver City, CA. A lot of Kelly’s former collaborators have since spoken about the allegations following the Lifetime premiere even fellow Chicago native Kanye West. In a recent livestream (now deleted) of a choir performing his hits called ‘Sunday Service’, Ye voiced his frustrations on the backlash even mentioning recent news of a Michael Jackson’s documentary highlighting new reports of sexual misconduct with underage children. Nearly immediately following the comments, Ye’s wife Kim Kardashian found herself in a familiar position, coming to his defense. While it’s often difficult to always center yourself in narratives where there are actual victims at stake, it is not an entirely uncommon position shared here by Kardashian. Even French Montana, a Kardashian family friend came to the immediate defense of R. Kelly in the now rebutted comment. What is your take on the situation? Sound off below.